Under President Ronald Reagan the Vaccine Injury Fund was created which removed liability for damages done by vaccines from the pharmaceutical companies and the physicians that injected them. With the removal of liability there was no financial incentive to make vaccines safe. And certainly safe they are not. Fortunately the probable appointment at the time of this article is Dr. Price, MD, the congressman from Georgia as the head of the Dept of Health and Human Services(HHS). The HHS oversees with $1 trillion budget the FDA, the CDC, and the NIH. With the election of Donald Trump as President, mandatory vaccinations on the federal level will most certainly not proceed. The current head of the CDC, who has blocked the testimony of the CDC whistleblower Dr. William Thompson, MD regarding the cover-up of the connection between the MMR vaccine and autism, will most likely be removed or step down. Dr. Price will change the influence of the pharmaceutical industry on the vaccine issue. He along with Dr. Rand Paul from Kentucky and Ben Carson, MD are members of the American Association of Physicians and Surgeons. This is a relatively small group of 4000 medical doctors in the United States who are opposed to mandatory vaccinations and highly in favor of parental choice and informed consent. They are opposed by the much larger American Medical Association. One of the most serious allergies in young children, peanut allergies, are on the rise, and experts suggest that childhood vaccinations is the culprit. More than one million children live with peanut allergies in the United States, while a hundred years ago the allergy was nearly unheard of. It seems unlikely that the recent rise in peanut allergies is attributed solely to exposure to peanuts, because peanuts have been a common food source for as long as agriculture has been part of our world. On the other hand, it does seem certain that an environmental factor is at play, potentially modifying our sensitivity to peanuts through unnatural methods of exposure. One factor that has a positive relationship with peanut allergy incidence is childhood vaccination. In the past 75 years, vaccination rates have steadily increased to the point where nearly every American child has vaccinations multiple times throughout childhood and infancy. At the same time, peanut allergies have increased to the point where everyone knows a child who has a peanut allergy, often life threatening in severity. The onset of the peanut allergy epidemic coincides with the use of peanut oil in vaccine manufacturing. While people use peanut oil in other applications, such as cooking and lubrication, none of these applications delivers the potential allergen to the body in such a direct way as vaccines and drugs do. In the early years after vaccination became commonplace, a reaction called serum sickness began to cause shock in many children who received vaccinations. The symptoms are uncannily similar to allergic reactions to anaphylaxis-inducing allergens today. Preserving vaccines and other drugs requires the use of an excipient, or an additive that ensures that the beneficial effect lasts as long as possible without losing the live component of the vaccine. Adjuvants are another key component, which increase reactivity and ensure that the immune response evoked by the vaccine is strong enough to fight the disease in practice. These additives often come in the form of a refined organic oil of some type, and they are still crucial to vaccine distribution today. Because peanut oil is very cheap it is used in vaccines. It seems that in order to enjoy immunity against disease, we must live with hypersensitivity to perfectly natural environmental factors. An initial, early exposure to an allergen creates hypersensitivity—in this case, the “serum sickness” or mild-to-moderate discomfort that children experience after a vaccination. After the initial exposure, the child with newly formed hypersensitivity may experience a severe reaction to further exposures. This is the anaphylaxis that marks peanut allergies as dangerous, even life threatening in children. This hypersensitivity through vaccination is induced at a time when children are already at their most vulnerable, the first few months of life during infancy. Knowing about hypersensitivity and how it leads to severe allergic reactions, it makes sense that early exposure to peanut oil in the form of a vaccination can lead to hypersensitivity—especially if the purpose of the peanut oil in the first place is to increase reactivity from the immune system. This is even truer considering that serum sickness or vaccine reactions are clinically the same as initial allergic reactions, and that development of a peanut allergy often occurs in the same period as early-life vaccinations do. Peanut allergies are dangerous to children and adults alike and can cause some of the most severe allergic reactions through life-threatening anaphylactic shock. Mild reactions to peanuts can be a precursor to serious and deadly reactions later, making it vital to pay attention even when the symptoms don’t seem worrisome. Generalized symptoms of a vaccine reaction can include hives, rashes, and itching. Other common symptoms include gastrointestinal distress, such as nausea, stomach pain, diarrhea, and vomiting. Signs of respiratory reactions can include tightness of the chest, narrowing of the windpipe and esophagus, wheezing and stuffy or runny sinuses. Other serious reactions are the result of anaphylaxis, which requires immediate treatment with adrenaline in the form of epinephrine. These anaphylactic episodes can include severe airway constriction; swelling of the throat, mouth, and other mucous membranes; and dizziness that can progress to unconsciousness. Without treatment, anaphylaxis can lead to physical shock, coma, and death. For these reasons, it is important to minimize the chances of peanut allergies or any other allergy that is likely to cause anaphylaxis. 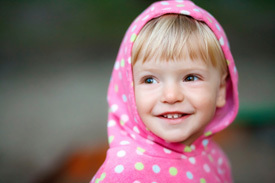 The allergic reaction can be stronger and more dangerous in small children. In many cases, the earlier the allergy appears in life, the more life threatening the reaction can be. For children who are immunized with a vaccine containing peanut oil in the first days of life, the allergic reaction can be violently dangerous, and babies are poorly equipped to deal with such a reaction. Accordingly, parents are keeping their children away from peanuts and by-products until well into early childhood. This can minimize exposure to a potential allergen but also removes the health and nutritional benefits of peanuts. Surely, it makes more sense to stay away from environmental factors that might cause the allergy, making it possible to proceed cautiously with peanut exposure instead of avoiding peanuts altogether for years. In many cases, severe allergic reactions can occur even with the heaviest precautions taken. Dr. Tim O’Shea describes an acquaintance who died after eating eggrolls that were cooked in peanut oil, a fact that even the chefs at the restaurant were unaware of. Schools ban peanut products from packed lunches in fear that a child will smell a peanut butter cookie from a hundred feet away in the cafeteria. Peanuts in their various forms are all around us, and staying away from them can be impossible even with the best precautions. For this reason, it is certainly better to avoid exposure when it might cause the most reactivity—such as in early childhood vaccinations—so that when peanut exposure does occur, it won’t cause hypersensitivity. This might seem easier said than done, but vaccinations are often the only exposure to peanut byproducts that a baby will experience in his or her first year of life, especially if the child is breastfeeding instead of formula feeding. It’s only slightly later in childhood that peanut exposure becomes commonplace, when solid, cooked foods become part of the diet and peanuts are hardest to avoid in every form. In light of recent discussion, some families may choose to delay or avoid vaccinating in childhood, infancy, or both in an effort to minimize the risk of induced peanut allergy. Many vaccines ostensibly protect against illnesses of childhood that parents are well equipped to treat at home, such as uncomplicated chicken pox. Other vaccines protect against diseases that are more risky and more dangerous to the children who contract them, such as diphtheria and rubella. Naturally, it is in the parent’s best interest to weigh these risks and act accordingly when it comes to vaccination decisions. If more evidence continues to implicate the role of vaccination in peanut allergy incidence, it makes sense to minimize childhood exposure to vaccines wherever possible.